America has been called “the Land of Milk and Honey,” but since our bees are dying and we’re about to run out of honey (America when did we lose our way), perhaps it’s time to focus the national conversation on milk. And where would our milk be without an amazing technology called pasteurization? Simply put, pasteurization is what makes American milk the envy of the world. And we happen to be living in a golden age of pasteurization. 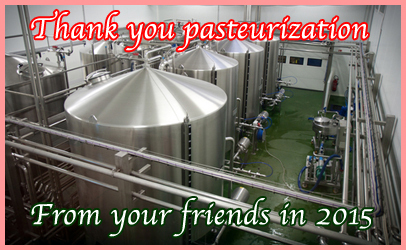 Whether your interest lies with innovations or general aspects of the practice, if you counted yourself a citizen of “Pasteurization Nation” you were rewarded beyond your wildest dreams in 2015. It’s the same old song, with a contemporary twist: We heat our milk to kill germs and improve the taste and vitamins and that’s why 2015 was better than ever when it came to milk and pasteurization — i.e., this year and every year, it always comes down to one simple thing: Pasteurization of milk in 2015.